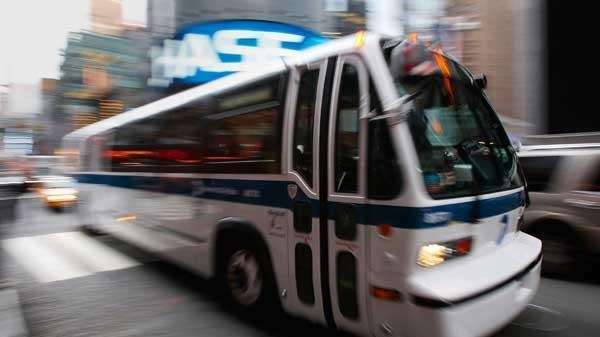 An MTA bus was struck by a bullet on Monday when it passed an East Harlem corner just as a man in his 30s was shot, police said. The man, who was not on the bus at the time, was shot in the left foot at about 5:15 p.m. and taken to an area hospital where he is likely to survive. The M3 bus was hit at least once as it drove by the corner of Madison Avenue and 104th Street. No one on the bus was injured, authorities said.